Jacob Hanna/Pipe Dream Photographer M. Stanley Whittingham, a distinguished professor of chemistry and materials science, was elected to the National Academy of Engineering on Feb. 7 for his research on the lithium-ion battery and green energy storage. The Binghamton University professor best known for his role in the invention of lithium-ion batteries has been elected to the National Academy of Engineers. M. Stanley Whittingham, a distinguished professor of chemistry, materials science and engineering at Binghamton University and director of The NorthEast Center for Chemical Energy Storage, received notice of his election to the National Academy of Engineering just 30 minutes before it was publicly announced. Whittingham was one of 83 new members elected to the National Academy of Engineering for pioneering methods of energy storage. While working for Exxon Mobil Corp. in the 1970s, he helped create the first rechargeable lithium-ion battery, which revolutionized energy storage and spurred the development of portable electronics. The batteries are used in items such as cell phones, laptops and electric cars. Compared with traditional battery technology, lithium-ion batteries require little maintenance, and lithium-ion technology allows batteries to last longer, charge faster and have a higher energy density. According to Whittingham, members must be nominated to join the organization. He said he was pleasantly surprised to be chosen. Election to the National Academy of Engineering is considered one of the most exclusive professional distinctions given to an engineer. Membership is given only to those who have contributed to major advancements in their engineering field, or made outstanding contributions and developments to research, practice and education, according to the National Academy of Engineering website. Guangwen Zhou, co-director of materials science and engineering and a professor of mechanical engineering at BU, wrote in an email that Whittingham’s work is well-deserving of international acclaim and recognition. Carrie Siu, a fifth-year graduate student studying materials science and engineering, said she works with Whittingham on his research and that his election is a recognition of his previous work. Over 40 years after his initial discovery, Whittingham is still researching lithium-ion batteries as he strives to improve them for vehicles and grid storage, which enables solar and wind renewable energy. “I have seen firsthand the amazing breadth and depth of his scientific knowledge and research, and his dedication to education, training, and mentoring,” Zhou wrote. Louis Piper, co-director of materials science and engineering and an associate professor of physics, wrote in an email that Whittingham is a great leader and mentor in research. 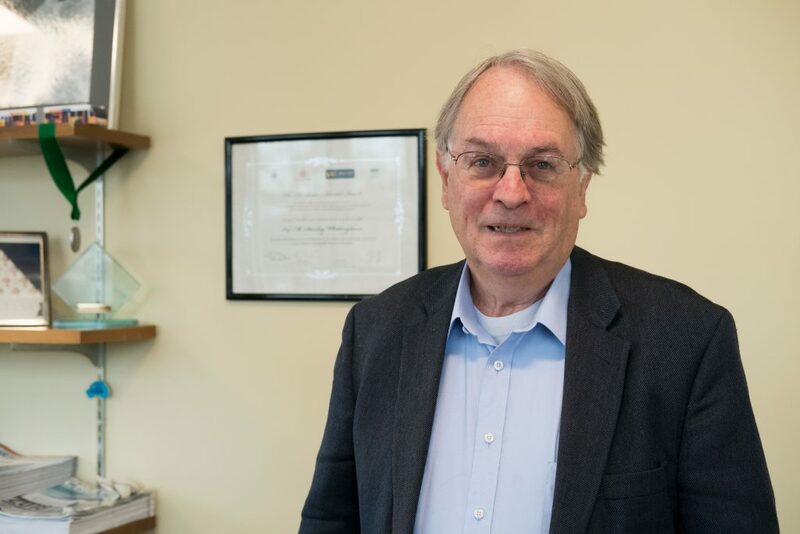 “Stan has been a leader in lithium-ion batteries, both in terms of the research he does but also his mentoring of young scientists in this field, such as myself,” Piper wrote. Whittingham said he sees his research as not only exciting and challenging, but necessary for a greener future.